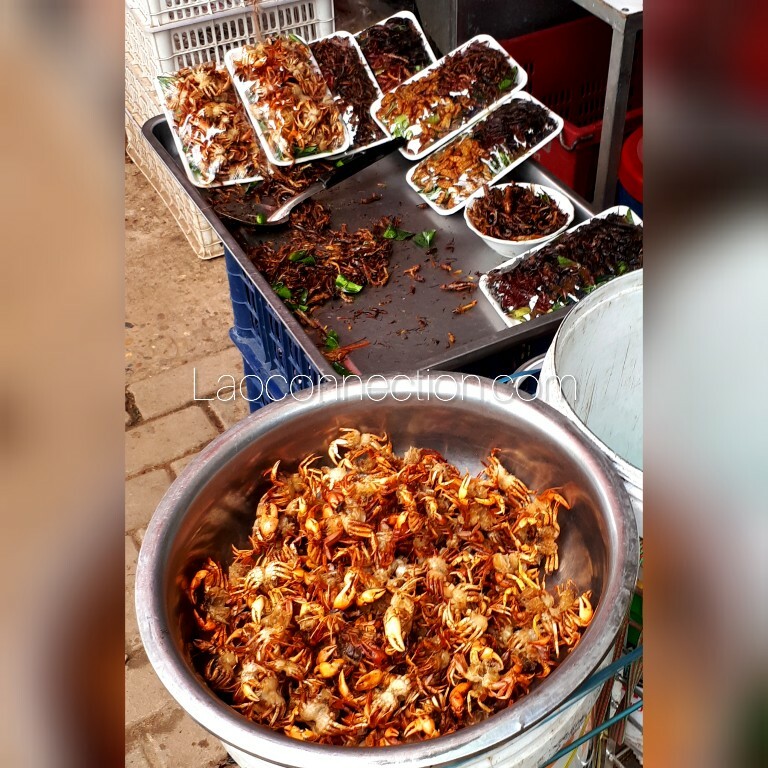 A side street stall near Talat Kuadin in Vientiane sells these critter snacks - deep fried grasshoppers and mini-crabs. Just about anything deep fried is good, right? Have a taste!